Phra Dhammamangalajarn (Tong Sirimangalo), Abbot of Wat Phradhatu Sri Chom Tong Voravihara, Chiang Mai, Thailand is a highly respected vipassana master in Thailand and we are all grateful for his support and blessing for the accomplishment of the Maha Stupa of the Great Awakening Project. We would like to express our Sangha’s deepest gratitude in this regard and we truly hope for further collaboration in the near future. 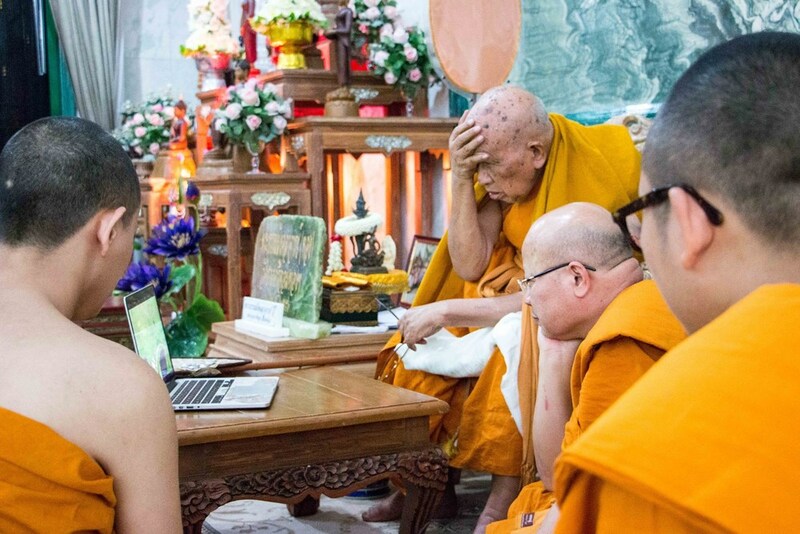 In February of 2016 Lama Rangbar and two Bodhivastu representatives met with Phra Ajarn Tong Sirimangalo at Wat Phradhatu Sri Chom Tong Voravihar in Chiang Mai, Thailand. 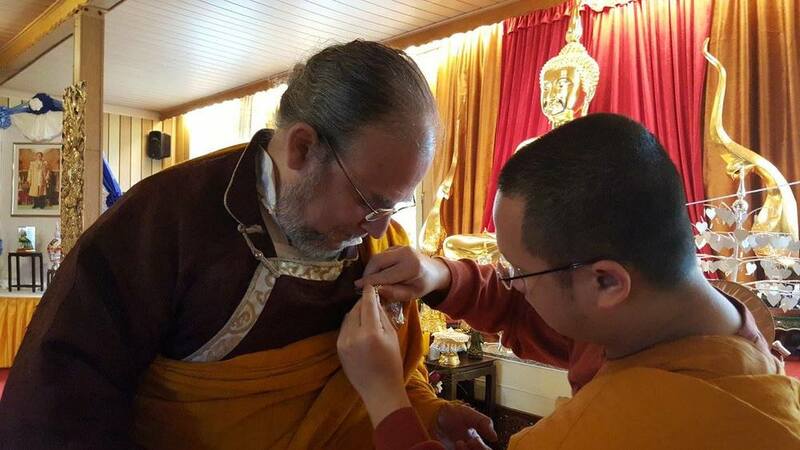 In March of 2016, on behalf of the Bodhivastu Foundation, Lama Rangbar Nyima Ozer formally received the special rice grain relic of Lord Buddha Shakyamuni from the Venerable Abbot of Wat Buddha Vipassana, a branch of Venerable Phra Ajarn Tong Sirimangalo's Monastery located at 56653 Wassenach, Germany. The relic was offered by Venerable Phra Ajarn Tong Sirimangalo to place in the Stupa of the Great Awakening during its construction. Our temple has been informed about the Maha Stupa of the Great Awakening Project which is intended for hosting Shakyamuni Buddha’s relics and Arhatta’s relics. We consider it a great merit that the Bodhivastu Foundation pursues a mission to create global interdependence. Therefore, I would like to offer the Shakyamuni Buddha’s alms relic for placing in Maha Stupa of the Great Awakening. I and Wat Phradhatu Sri Chom Tong Voravihara would like to express our gratitude for this great merit of the Foundation in this regard.